The first thought that strikes while talking about Virtualization is of course VMware. So, obviously the “most spoken about” topic in the recent times is about VMware’s latest release vSphere 6.7. This release has come after about a year from VMware which is why the buzz about it has not reduced even a bit yet. Now the release has happened, this paves the way for next question. That is, which vendor supports backup for vSphere 6.7? We haven’t heard much from the other major backup players regarding the support for the latest release of VMware vSphere. 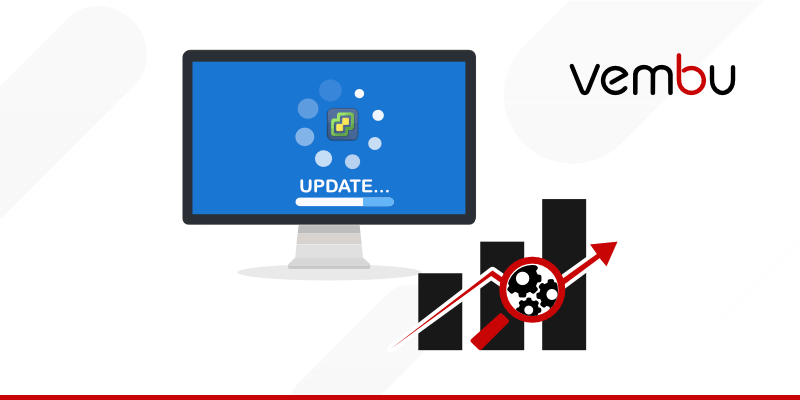 On the other hand, we, at Vembu, have already released an update to support backup for vSphere 6.7. This year had been a very special year for Vembu with back to back releases, the first one being the Vembu BDR Suite v3.9.0 which came up features that provide significant advancements in terms of Storage, Security, and Data Restoration. Following the release of v3.9.0, we came up with the next major update v3.9.1 with the launch of Standard Edition being the focus. Thus bringing Vembu BDR Suite closer to all kinds of businesses irrespective of their size, which certainly caught the attention of many. And now, here we are, with our latest offering of backup support for VMware 6.7 in less than 60 days after the official release, pulled off in style. Naturally, people wanted to run their VMs on 6.7, which meant they needed to protect the VMs running on 6.7. Vembu is proud to announce the release of Vembu BDR Suite 3.9.1 Update 1, the latest flagship offering from Vembu. You can now protect your VMs running on vSphere 6.7 with enterprise-level functionalities like Agentless Backup and Replication offering near Continuous Data Protection, Application Aware Backups along with multiple recovery options like Quick VM Recovery, Instant File/Folder recovery, Granular Application Recovery. Thus, Vembu BDR offers an RTO and RPO of 15 mins to avail Business Continuity to Data Centers. Register now for the exclusive Webinar by our experts to know how Vembu offers support for vSphere 6.7 with enterprise-level features. Marketing Analyst at Vembu Technologies. I am a self-starter and a go-getter, when it comes to things that am passionate about.